Rave BookPage With her debut novel, Alif the Unseen, G. Willow Wilson announced herself as a powerful new voice in the realm of speculative fiction. With her new novel, The Bird King, she has cemented her place as one of the brightest lights of fantasy storytelling ... Wilson’s tale unfolds with all the grace and swiftness of a classic magical adventure, with strange encounters and new lands waiting with each turn of the page. There’s a familiarity, a lived-in quality, to the prose and sense of character that evokes an almost fairy-tale sensibility, but then Wilson digs deeper, into something as timeless as a myth but much more intimate. As it spreads out before the reader like a lavish tapestry, Wilson’s story becomes a gorgeous, ambitious meditation on faith, platonic love, magic and even storytelling itself, with a trio of unforgettable personalities serving as its beating, endlessly vital heart ... a triumph—immersive in historical detail and yet, in many ways, it could have happened yesterday. Wilson has once again proven that she’s one of the best fantasy writers working today, with a book that’s just waiting for readers to get happily lost in its pages. Rave BookPage The Lost Queen...is the rare historical epic that manages to be truly sweeping and yet always intense and personal—at once a romance, a story of faith, a story of war and a story of family without ever sacrificing one element to focus on another. The romance does not cancel out the palace intrigue, the faith does not cancel out the magic, and the war does not cancel out the intimate moments of discovery and history. It’s all there at once, each element as rich as any other ... Languoreth’s narration, coupled with the sense that we get to discover the intrigues and mysteries of her world along with her as she ages, is the key to the novel’s success. Pike strikes the right balance of immersive historical detail and sincere emotional resonance, and it never falters throughout the book. By the end, you feel happily lost in this mist-shrouded place in history, and you only wish you could stay there longer. Rave BookPage Like all of Haruki Murakami’s stories, Killing Commendatore is vast, ambitious and composed of seemingly disparate layers that somehow all find a way to link together ... it’s another brilliant journey through the mind of one of our greatest living storytellers ... One of Murakami’s most effective techniques is his economy of language, which creates a constant juxtaposition of extraordinary events and deceptively simple, unhurried prose ... a joyously unpredictable novel, cracking itself open one piece at a time like an ancient puzzle box, and Murakami’s careful, masterful style assures the reader that it’s worthwhile to get happily lost inside. Positive BookPage Caitlin Moran has a gift—in both short- and long-form writing, in both fiction and nonfiction—that hits like magic when it lands in the lap of the right reader. It’s a rare, mesmerizing talent ... How to Be Famous lives or dies based on Moran’s ability to render Dolly as an enchanting, vulnerable and hilarious guide through the mid-1990s London music scene, and Dolly’s charm immediately jumps off the page ... [Moran\'s] ambition, like Dolly’s, is to weave into this tale a kind of feminist manifesto ... She succeeds throughout but keeps you waiting for the final, unforgettable exclamation point at the book’s hysterical climax. Rave BookPage Bernard Cornwell is well versed in historical writing — he’s perhaps the living king of the genre at this point — but this is Shakespeare we’re talking about. It’s intimidating territory, and not every novelist can do it well ... With his usual knack for detail and characterization, Cornwell plunges fearlessly into Shakespearean England for his latest novel ... The first thing readers will notice in Fools and Mortals, as they will in Cornwell’s The Last Kingdom, is the voice. Richard tells his own story, and as crafted by Cornwell’s skilled hands, he tells it beautifully. 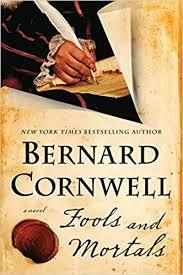 Right away, there’s a sense of the Shakespearean balance of wit and drama ...Cornwell places us in proximity to history we know and then brushes greater depth and detail into the personal story he’s trying to convey ...a riveting novel driven by a distinctive voice that’s sure to hook you. Rave BookPage His stories, from short fiction to novels, are tightly wound coils of energy, humor and insight, waiting to spring on us. Smile is another stellar example of Doyle’s brand of dense, kinetic storytelling. 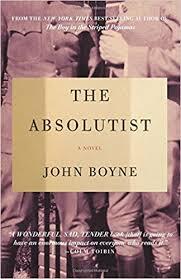 In just over 200 pages, Doyle manages to tell us something startling, funny and strange about the nature of human tragedy and pain ... Doyle has a particular talent for humor and dialogue, but he also has the rare quality of being able to balance an economy of language with a dense sense of perception. Not a word is wasted here, and there aren’t many to waste. This is a gift, and it’s one Doyle harnesses with particular power in Smile. 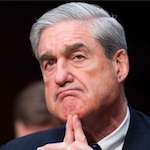 This drives the book at an almost fever pitch, practically daring you to turn each page and see what kind of incisive character wisdom he’s about to impart next. By the end, even if you think you know what’s coming, you will be dumbstruck by the storytelling prowess at work. 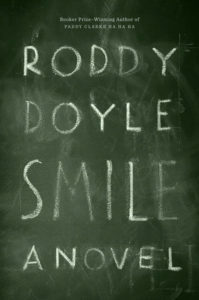 Smile is a brief, brilliant, frenzied reading experience that only Roddy Doyle could deliver. Rave BookPage The Absolutist might be his most intimate story yet—a journey inside the mind of a man who’s seen the horror of war, and the tale of his quest to somehow find peace in the lonely aftermath ... Tristan bears the scars of war on his body, but the real reason for his journey is the scars on his heart. The world knows only that Tristan and Will were friends, and how Will officially met his end ...is surprisingly slim. Boyne conveys the period accurately and elegantly, but the characters—specifically Tristan, who narrates—are the stars ... This is a different kind of journey into the darkness of war, told by a gifted, powerful novelist, and the result is a book with an often staggering emotional punch. Rave BookPage ...a triumph of two voices blending wonderfully to take us into a dark and all-too-real dream ... Sleeping Beauties traffics in some very potent themes, from the obvious question of what an all-male society would devolve into to less obvious concerns like the politics of a women’s prison and the evolution of sexuality during the aging process. None of these issues, though, are dealt with cheaply or crudely. The book wields the best attributes of each author—Stephen’s ability to ratchet up tension, Owen’s wit and their joint gifts for character detail—with a deftness that makes it feel like the work of a single hybrid imagination. 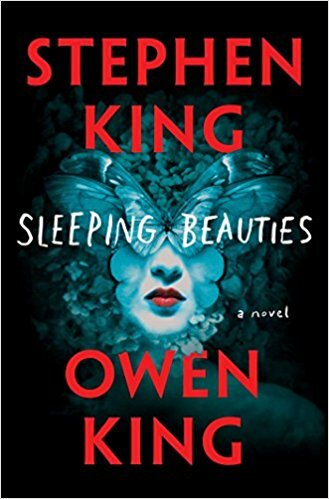 In the authors’ hands, the themes and characters of Sleeping Beauties become powerful fictional case studies, holding the mirror up to our own powder keg of a society in unforgettable and often unnerving ways.